Family Service Association | "Blog - Terri Griswold"
My role at FSA is a SASS Therapist. SASS stands for Screenings, Assessments and Support Services. I work with children and families who have experienced some degree of mental illness. I chose FSA because it was an opportunity to learn another aspect of mental health and to help families who are struggling with their child’s mental illness. On a daily basis I coordinate with families and other mental health providers in their area to provide the best care for the child. I work with children who are struggling to understand why they act the way they do and help them to find more appropriate ways to deal with their symptoms. Seeing people make changes for the better in their lives and seeing them succeed in all areas in their lives. My favorite part of my job is seeing the “light bulb” come on in a child’s life when they realize they have the power to make a change in their life. 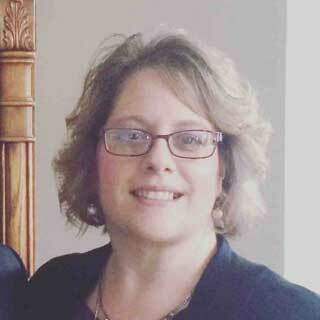 Jody Mitchell, I have known her since I was a child and she is an LCPC, Licensed Clinical Professional Counselor. I have watched her be a therapist and I have learned from her. She has such a gift and is so compassionate with her clients. You may find it strange but I want to meet Adolf Hitler. I did my senior thesis on the Psychological effects of the Holocaust on Survivors. I’d love to find out what was really going on inside his mind and his reasoning for all the horrible things he did. Hearing! I am deaf and wear a hearing aid. I struggle daily with hearing what people say so I’d like to have a “superpower” of hearing. Hmmmm, I have so many! I love a good Chicago Deep dish pizza, oh wait, I love chips and guacamole, oh and that Thai massaman curry chicken is in the top. See, I told you I have a lot of favorites. This is a very tough one to answer. I have had the privilege of traveling to 28 countries, so you can see why this is a hard one to answer. I’d have to say that Lithuania was probably the most interesting place for me. I lived in this wonderful, small country for 2 years and fell in love with the people, culture and history of this place.